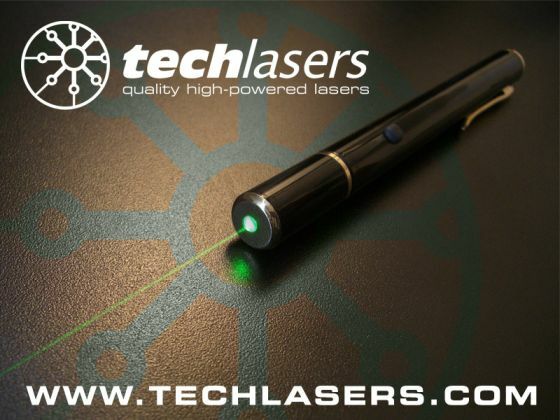 We were recently contacted by techlasers.com for the review of the Infiniti II 95mW Green Laser. The laser was sent to us in just three days. Before we continue, We must stress that the Infiniti II Laser is not a toy.It should be used with caution and according to law. It can actually burn things. Infiniti II series of laser are available in various power ratings ranging from 95mW to 150mW.The Infiniti II 95mW laser is an incredible powerful green laser, which is approximately 19 times more powerful than toy lasers available in market.It is very bright. So much so that you cannot see it with bare eyes. Thats where the 532nm Laser Shades comes into play. 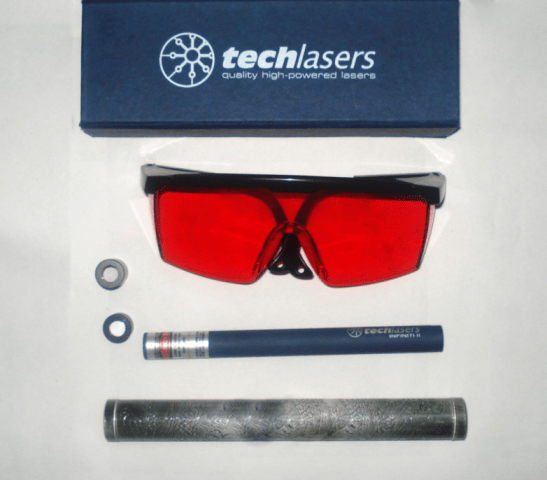 The laser Shades protects your eyes from harmful laser and IR Radiations. The laser can easily burn black insulation tape, light matches, melt rubber and dark coloured plastics and can sting bare skin.The laser beam is visible in both day and night.It can be used to point at stars, and thats why techlasers call them an astronomers best friend. The power of Infiniti II laser can be increased by using Laser Pointer CapSet. Included are two lens- A convex lens and a flat glass lens. Convex Cap is used to increase the laser’s power and the flat glass lens is used to protect laser from dust. Dragon Case protects the laser form scratches, dust and other damages. It is made up of aircraft grade Aluminium combining both strength and style. The Infiniti II 95mW laser requires two AAA batteries, which last for about one hour if used continously.It is recommended to wear Laser shades to avoid damage to eyes. All the lasers are equipped with high grade IR filter, which is good as IR radiation can do damage to eyes. I’m looking for a laser that doesn’t need to be held, that can be switched on and off and operate standing alone. I’m looking for a 4 to 15 mw range. If you don’t have this, can you give me a lead for one? I am a teacher and would like to use this for optics demonstrations.